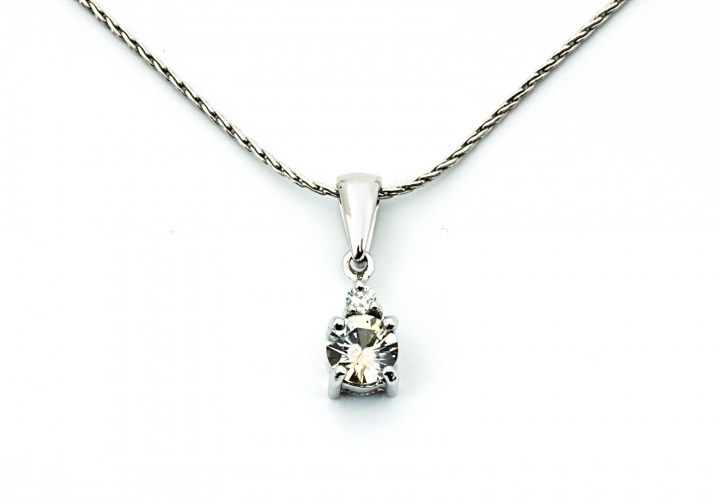 This pendant features a pale yellow-green Fancy Montana Sapphire with a small accent Diamond set in 14K white gold. Center StoneFancy Montana SapphireWeight0.43ctAccent StoneDiamondWeight0.01ctChain not included. 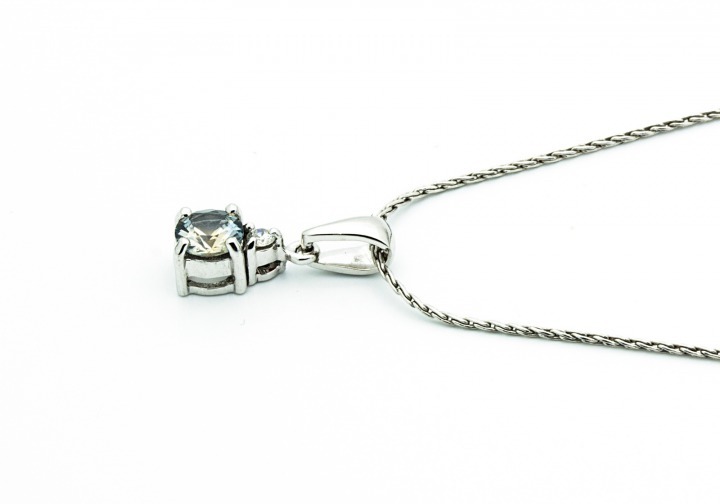 A delicate but beautiful wheat chain that is woven for strength, so it is great for everyday wear!